The exchange of two daruma dolls by EU trade commissioner Cecilia Malmström and Japanese Minister of Foreign Affairs Fumio Kishida on 5 July marked the announcement of an agreement in principle on the Japan–EU Economic Partnership Agreement (EPA). Daruma dolls symbolise perseverance and good fortune, and the EPA is a deal that has taken years of persevering and has the potential to deliver considerable fortunes to both sides. The EPA will create a free-trade zone accounting for nearly a third of global GDP. Although the current negotiations have been going on since 2013 — and aren’t finished yet — the moves towards a deal began long before that. There were numerous battles along the way as European companies struggled to gain fair access to the Japanese market, according to Collasse. “We had to fight with the Ministry of Health, Labour and Welfare because they were trying to impose GMP [Good Manufacturing Practice: an international standards system for medical products] on even the bolts in a CT scanner, which was disgraceful,” recalls Collasse. While cars and camembert were making headlines during the recent negotiations, there were other major sticking points. 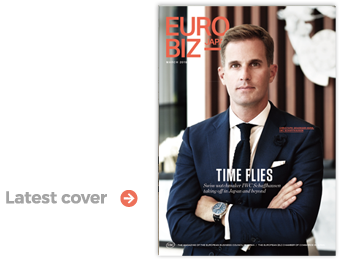 Market access, rules of origin and public procurement were three of the final hurdles, according to Timo Hammaren, head of the Trade and Economic Department at the European Union Delegation to Japan. Public procurement has long been a source of friction between the two sides, but agreement has finally been reached. One point that has yet to be agreed upon is the settlement of investment disputes. Japan is in favour of private arbitration courts, a solution adopted in the moribund Trans-Pacific Partnership agreement (TPP). However, in the EU, using private arbitration to settle investor-to-state disputes has been strongly criticised by civil society organisations as something that demonstrates a shift in power from nation states to corporations. This opposition led the European Commission to switch to an investment court system with publicly-appointed judges, a system applied in the CETA agreement between the EU and Canada, and now suggested for the agreement with Japan, as well. 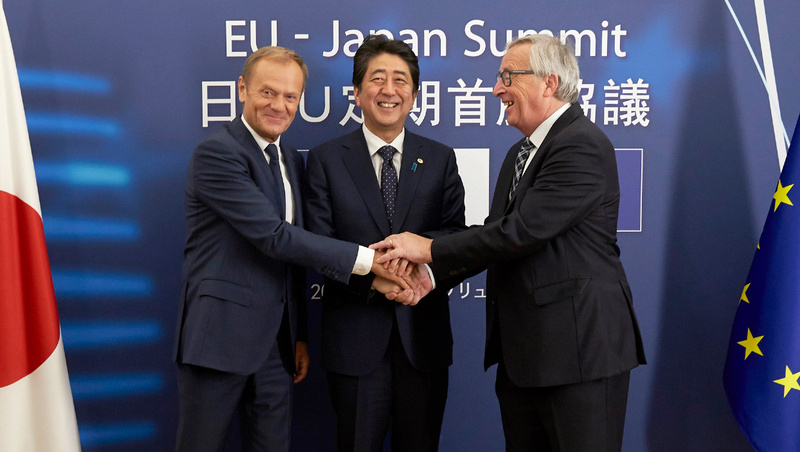 Despite the bumps in the road, the recent withdrawal of the US from the TPP and the looming Brexit appear to have provided extra impetus and urgency for Japan to conclude an agreement with the EU. There is a clear precedent for the economic benefits the agreement can deliver, believes Hammaren. “If you look at the experience we had with South Korea, after five years of that trade agreement, we had a more than 50% increase in exports. In certain sectors, such as cars, we had a 200% increase,” Hammaren points out. There is, however, some way to go before the potential benefits can be unlocked. Once the final text of the agreement is in place — ideally at the end of the year — there will be a process of so-called “legal scrubbing” where lawyer-linguists will examine the language for consistency. It will then be translated into Japanese and the 24 official EU languages. This process could be finished by autumn 2018, when it will be sent to the European Council and then to the European Parliament for approval. There is also a possibility it will have to be sent to all the national and regional parliaments for ratification, depending on whether the agreement is classified as falling partially under the competence of the EU member states. In the best case, the EPA would then come into effect in early 2019. Implementation will provide its own challenges. And while the reduction and elimination of tariffs are relatively easy to monitor, other elements will not be so simple. Risberg also acknowledges the challenges ahead, but sees light at the end of the tunnel.